Here at S A Partners, we are passionate about supporting the hard work of charities. 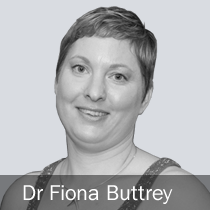 One of the charities we support are Surfers Against Sewage , who recently interviewed our own Dr Fiona Buttrey. Recently Fiona undertook the 3 Peaks Challenge for charity, but in this interview Surfers Against Sewage wanted to talk about her connection to the sea, canoeing and her role with S A Partners. 1. Tell us a bit about what S A Partners does and your role there. S A Partners is an international management consultancy that helps businesses improve. We work with our customers to help them to be more efficient and to do more with less. Adopting environmentally friendly options usually makes good business sense. Improving energy efficiency reduces costs as well as reducing carbon emissions, and the same goes for waste to landfill. There is now a significant cost for disposing of waste, so it makes great sense for organisations to eliminate, reduce or recycle. We encourage our customers to see that doing the right thing from an environmental perspective doesn’t necessarily cost more – not if it’s done right. One great project we supported was with a large supermarket chain where we explored how closed loop packaging systems can reduce environmental harm and improve efficiency. I am a Partner and one of the Lead Consultants. It’s a very varied role – in an average week I can be working with a seafood producer, delivering leadership training at a water company or developing an Operational Excellence assessment tool! Having only recently joined the business it’s a fantastic challenge and opportunity. 2. Why did S A Partners choose to support Surfers Against Sewage? S A Partners donates a percentage of its profits each year to charity. Each partner can choose which cause they wish to support. Managing Director Simon Grogan, Life Science Practice Lead John Quirke and myself have had a longstanding interest in reducing the use of plastics and cleaning up our seas. Simon surfed in his younger days and has regularly been involved in litter picking in his local area. John completed a Masters in Oceanography and is a keen yachtsman, so this is a subject close to his heart. We discussed the charity contributions for this year and felt that supporting SAS would be a great thing to do. Whilst The ‘Blue Planet’ series did an amazing job of raising awareness of the issue of single use plastics, we all need to take action. 3. Tell us a bit about your/S A Partners’s connection with the ocean and your reason for wanting to protect it. I love the outdoors and always wanted to live by the sea when I was growing up. This was instrumental in my choice to study at Swansea University. I was a keen scuba diver through university, and also did a bit of surfing. More recently I have taken up kayaking – sea kayaking, surf kayaking as well as white water kayaking. I have sea kayaked around the world in New Zealand, British Columbia and Alaska, and in the UK have circumnavigated the islands of Mull and Skye in Scotland, as well as local paddling on Gower (where I live) and Pembrokeshire. I kayak surf on my local beach which is Llangennith whenever there are waves! So I have a strong connection to the sea and am keen to do what I can to protect marine life and keep our beaches clean. It’s great to see that SAS have partnered with British Canoeing to clean up rivers too – given the recent serious flooding – there is a lot of work to be done there too. I was paddling the Teifi following the recent flooding and took a bit of time at the start of our paddle to remove some rope hazards from the Llandysul slalom course. 4. What sort of things have you and S A Partners been doing to help this issue (e.g. replacing single-use plastics in the office)? I am also a member of the Marine Conservation Society and I signed up for “Single Use Plastic Free June” this year. I found it almost impossible to completely eliminate all plastics as I travel a lot with my job, but we have made some permanent changes in our household to reduce the amount of single use plastics we use. We now get our milk delivered in glass bottles, we have switched to solid soap instead of shower gel and handwash, we use a Sodastream instead of buying fizzy drinks in plastic bottles and we use re-usable sandwich wrappers or plastic boxes. We grow a fair amount of our own veg during the summer, and try to take reusable mesh bags to the supermarket to avoid plastic packaging – but unfortunately it’s not always possible. I also always travel with a re-usable coffee cup and water bottle. These are small steps, but if everyone adopted similar measures, the amount of plastic waste we generate would be massively reduced. At S A Partners we only use real coffee cups and glasses to avoid plastic and non-recyclable waste. We only use caterers who minimise single use plastics for our work buffets etc. We actively recycle all materials, including plastics in the office. 5. What’s your favourite beach? On a sunny evening with glassy waves, there isn’t any better place to be than Llangennith beach watching the sun set. 6. When did you first get into kayaking? My husband and I first started sea kayaking after doing a great 5 day sea kayak trip in the Abel Tasman national park in New Zealand back in 2003. We came back home, bought sea kayaks and off we went! We got into surf and whitewater boating by accident really, but now spend most weeks watching the weather forecasts for rain and surf! At least having all 3 kayaking options means there is always something we can do! 7. Have S A Partners got any event planned in the future? S A Partners are planning to do a team canoe trip on the river Wye next summer, and will carry out an SAS / British Canoeing river clean at the same time.